The perfect birthday party location for the active child…or adult! 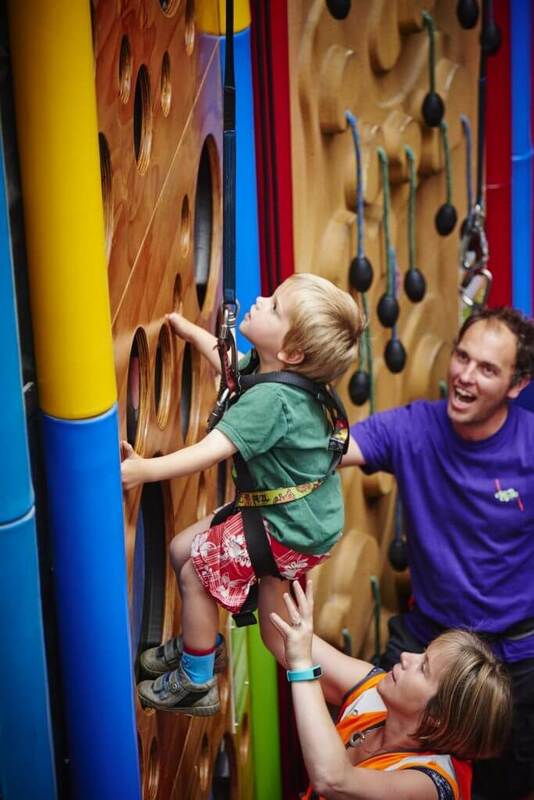 Clip ‘n Climb Newcastle is the ultimate destination for a thrilling, action-packed birthday party. After spending the day tackling our biggest indoor climbing challenges, that special someone will have fond memories to look back on for weeks to come! With 22 climbing walls, a smaller training section, the worlds tallest Clip ‘n Climb Challenge and the option of taking on the Leap Of Faith, there’s a challenge for all abilities. We ask that you provide at least 1 adult for 5 children to assist our staff with the supervision of your super-excited kids. Adults, why not get involved in your child’s party by becoming a Clip ‘n Climb ‘Clipper’! Clippers are able to interact with their children during the session by assisting our staff to attach them safely onto the ropes. It’s a very easy thing to do and allows for a much more interactive experience for both parent & child. You will be given this option during the session safety briefing. New birthday party ideas for children are always tricky. If you’re looking for a venue with good healthy fun, lots of laughs, and exciting challenges, then Clip ‘n Climb Newcastle is your answer. Free Leap of Faith access for the birthday boy/girl. The Adventurer Party Package costs £15 per person (minimum number of 10 people required). It can often be difficult to reach us by telephone during weekends and school holidays, we can’t complain as this means we’re busy! However to make things easier if you’re looking to organise a birthday party with you, simply fill out the party booking request form. We will then get back to you as soon as we possibly can to discuss availability and your requirements.